Whether you or someone you care about has been impacted by sexual or relationship violence, on campus and off campus support and resources are available for you. It is entirely your decision if you tell someone, how you tell someone, and who you tell. Regardless of what you decide, there are many people at the University of San Diego who are committed to providing support for members of our campus community. 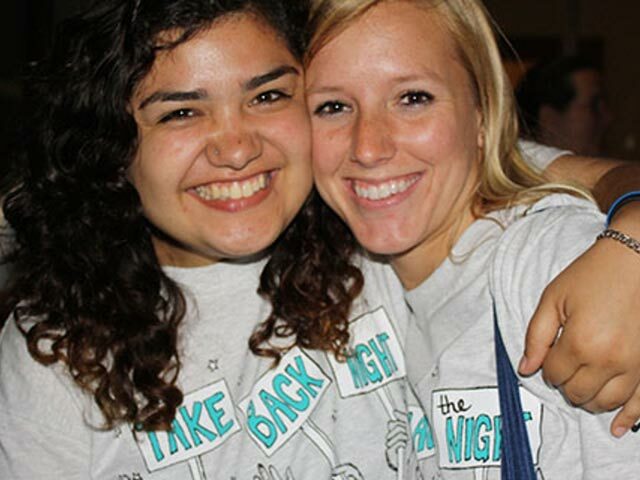 Campus Assault Resources and Education (CARE) is the University of San Diego's primary effort to provide support, resources and education to the student community pertaining to sexual assault and relationship violence. The University of San Diego does not tolerate sexual assault or relationship violence and has implemented a comprehensive effort that reinforces a culture of prevention, response, and accountability that ensures the safety, dignity and well-being of all members of our community. Sexual misconduct and relationship violence in any form are antithetical to the university's mission and core values, violate university policy, and may also violate federal and state law. It is important for victim/survivors to know that the resources contained on this website can offer assistance even if you choose not to file a report or press charges. Meet the CARE Advocates Learn more about the personal and professional backgrounds of USD's CARE Advocates. How to Support a Friend When a friend discloses, USD is committed to helping you through the process. Learn more about how you can support both yourself and a friend.